The Day’s editorial page allowed Republican lawmakers 11 days to come up with a $40 billion budget response to the tax and spending plan laid out by Gov. Malloy Feb. 8. 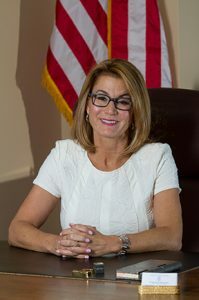 It took the governor’s bureaucratic budget experts presumably all fall and into the winter to create a universally disliked proposal – most Democrats not living in Hartford, New Haven and Bridgeport don’t support it either – that shovels much the state’s looming $3.6 billion deficit onto to towns and cities and builds in concessions from state employees. On these pages on Sunday The Day exhorted Connecticut Republicans to “step up, stop whining and start dealing,’’ on the budget crises we face. The column uses convenient phrases such as “it remains unclear how the Republicans will play their new and stronger hand,’’ in Hartford, and “So far, Republican leadership is sounding as it has in the past,’’ when it comes to offering solutions. This take on what has taken place in Hartford ignores history, ignores the facts. For the past decade House and Senate Republicans have offered fully vetted alternatives to the Democratic budgets and policies that have led us to this point. Deficits are replaced with tax hikes from the Democrats followed by more deficits. We even offered an alternative to our own Republican governor’s ill-conceived budget in 2007 that raised taxes – and it was the House Republican version of the budget that essentially became law that year. Last year, House and Senate Republicans took a big step further. We came up with not only an alternative to the Democrat plan that we warned would assuredly lead us to another deficit, we created a long-term vision for how to finally get out of this perpetual mess. Again fully vetted by the non-partisan Office of Fiscal Analysis. But back to the present. Apparently, according to The Day, voicing opposition to wrong-headed non-solutions to the problems that the Democratic Governor and Majority party own amounts to “whining.’’ Anything short of a fully conceived alternative to the Governor of the Democrats on the very day the 2018-19 fiscal year budget plan was unacceptable. Governor’s deal with labor union leaders hatched in secret to refinance the state’s massive unfunded pension liability. Gov. Malloy’s plan extended the payments out another 15 years at a cost to taxpayers of $11 billion. Our plan relied on savings of $200 million annually from unions to go directly into their pensions, thereby eliminating seven years’ worth of payments. Democrats said no and voted to accept the Governor’s version. Secondly, on the eve of his budget address Republicans identified $20 million in savings from the current budget that could be used to restore that amount in school funding for towns and cities that the Governor slashed Dec. 29. We appeared on the brink of a deal with Democrats but at the last minute they balked, so we went alone to the public with our ideas. The overall point is, Republicans have worked hard to offer sensible alternatives that do not require automatic budget hikes or balance on smoke and mirrors to address our fiscal problems. We have done that consistently, whether is a decade of past budget plans, or a five-year horizon that looks ahead and mid-year changes in between. Considering all this, then, who got it wrong?